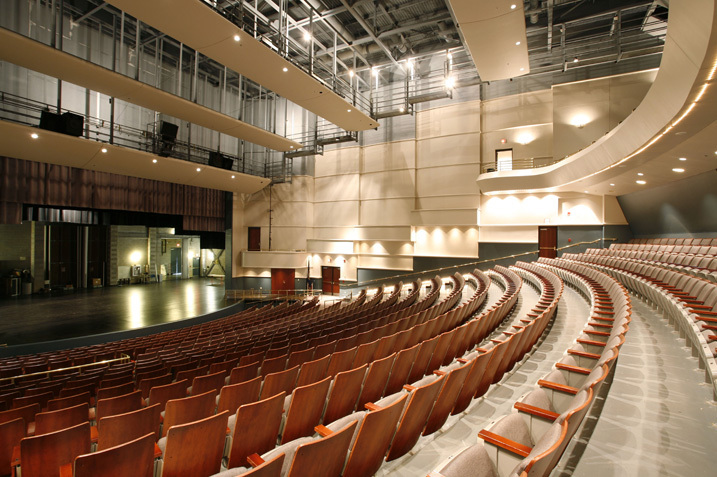 Learn more about 7 of Henderson’s most unique meeting spaces! 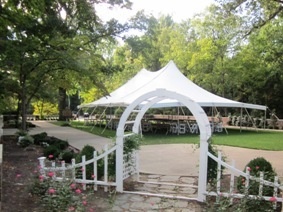 Accessories: A beautiful garden at the entrance of John James Audubon Museum that can be configured several ways for wedding ceremonies from 50 to 500 people or for outdoor receptions, parties, and galas. 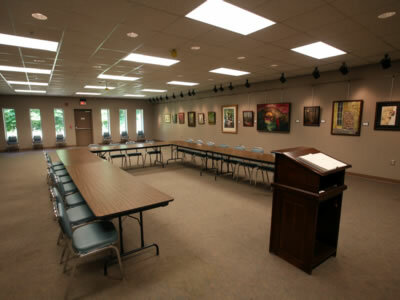 Nearby parking, electrical outlets, and access to the Friends of Audubon Meeting Room inside the museum in case of rain. Accessories: Rectangular and round tables and chairs, catering prep kitchen, restrooms, Projection Screen, Handicap Accessible with elevator, Access to front and back porches, Smoke Free Facility. Accessories: Opening Spring 2014, this stadium-seat theater will feature Christy projection screen, Dolby digital surround sound, and the most technologically-advanced director’s podium in the nation. This facility will be available for rent for business meetings, school groups, and community groups. Accessories: 5 cottages featuring 1 bedroom with 2 full beds, 1 cottage featuring 2 bedrooms, each with two queens. Full-size kitchen, living room, bathroom. Sheets, linens, towels included. One bedroom cottages feature a wood-burning stone fireplace and oven. For a charming downtown meeting space that is great for bridal or baby showers, birthday parties, small gatherings or business meetings, contact Bliss Artisan for your event! Capacity: 30. Available during business hours only. The rental deposit is $100 for two hours, and the deposit goes towards your food purchase. Accommodations: Kitchen, Restrooms, Handicap Accessible, Air Conditioning, Heating, folding tables and chairs, projection screen & laptop connection. Capacity: Can seat 10 comfortably, folding chairs are available for more guests. Accommodations: Mounted television for presentations, chairs, large table, access to historical Henderson documents and artifacts. This space is great for board meetings, staff retreats, small club or group meetings. No outside food or drink is allowed. Accommodations: For a private view of the front stretch, the Turf Club offers a panoramic view of the horse racing track. It is equipped with a private bar and restrooms. If you enjoy sitting outside, our pavilion/picnic area is available with multiple choices of food and beverage packages in addition to buffet options. 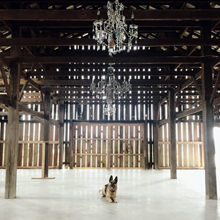 For pricing inquiries, to set up a private tour of our full service facilities, or to discuss your special event plans, please contact Katy Groves-Mussat: Email katy@farmerandfrenchman.com or call 270-748-1856. Accommodations: Tables, chairs, and audiovisual support available. The Venue is an all-inclusive beautifully restored, historic destination. Great for business meetings or fundraisers. This full service entertainment space is located in the Gateway District. ADA-accessible bathroom, WiFi, 65-inch smart TV mounted on one wall in the main room that can be used for slide shows or presentations. Original floors, restored heart pine, 12-foot ceilings and large windows. For information contact: Keith at 270-869-0078 or at thehhvenue@gmail.com. The school cafeteria is a large, open space that is great for wedding receptions, dinners, fundraisers, and festive events. Accommodations: Full Service kitchen, chairs and tables available, room for stage. For information contact: Holy Name School at (270) 826-2176, thurtte@holynameschool.org. Accommodations: Full restaurant, bar, and catering. Accommodations: 5-60′ round tables and 11-8′ rectangle tables, a/c & heating, handicap access, gravel parking, kitchen: refrigerator, freezer, dishwasher and double oven. Hosts a variety of events, use of alcohol is limited. Rates: Please note there is a non-refundable deposit due at the time of booking. Monday-Thursday 8 a.m.-4 p.m. or Friday 8 a.m.-3 p.m.
Monday, Tuesday, Thursday 4 p.m.-10 p.m.
*Booking Exclusions: The Lumber Yard Event Center is closed on Thanksgiving, Christmas Eve, Christas Day, and Easter. The event center is not available for booking on Wednesdays, or Friday nights after 4 p.m. due to recurring events that were previously scheduled. Table cloths, cloth napkins, table service (salt, pepper and sugar caddy), 300 chairs, (60) 8 foot banquet tables, (10) 60 inch round tables (if requested), speaker sounds system, microphone, wireless internet, trash cans with liners, computer connection, large pull-down screen. The Ramada by Wyndham Henderson Event Center has four meeting rooms ranging from 775 square feet to 1690 square feet. The space can be combined into one large ballroom totaling over 4000 square feet. Capacity: 350 people. This space is a great location for business meetings, conferences, weddings and corporate events. Catering: The Bistro catering department offers several menu options for your event ranging from a full service buffet or plated meal to hors d’oeuvres. Outside caterers are welcome. Please note that the Bistro is the sole alcohol provider for the event center. Outside alcohol is not permitted. Catering pricing is in addition to your event space rental. 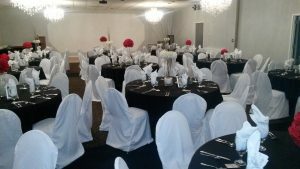 Amenities: staff set-up/clean-up, tables, chairs, linens, Wifi, premier sound system with microphones, ceiling mounted projection screen, dance floor, staging, DJ service, and food and alcohol catering, crystal chandelier decor. 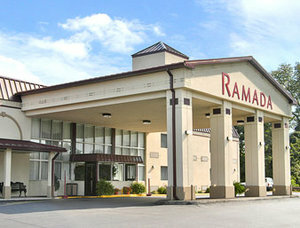 Lodging: Accomodate your guests overnight with Ramada’s 118 rooms. Ask us about our room rates, suites and discounts when you book your event with us.